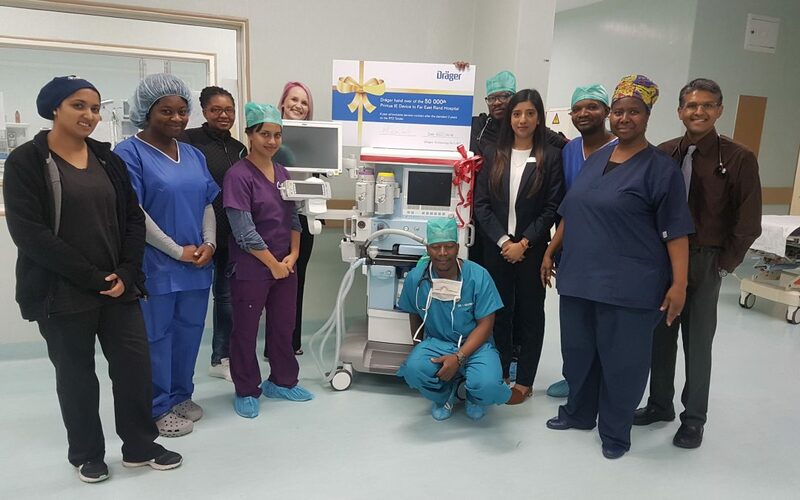 Dräger is pleased to announce the production of the 50 000th Primus, even more thrilling to know is the fact that it is produced for Far East Rand Hospital in South Africa. The unit is referred to as the celebration device because, 50 000 is a mile stone for Dräger globally. Knowing that there are exactly 50 000 Primus’s in various hospitals across the globe fulfills us with tremendous pride and is a huge motivating to the Dräger team to continuously grow our footprint within the operating room environment. This is another example for living our brand philosophy “Technology for Life”. The plan in place is to specially deliver the device to Far East Rand Hospital in Springs, East of Johannesburg on the 12th April 2018. This “celebration Primus” will be delivered with special condition meaning an additional 8 year all-inclusive service contract after the standard 2 years on the RT2 Tender.